In my home network I use a Airport Time Capsule (4th Generation) as my gateway and DHCP server. A while ago I configured a “DHCP Message” via the Airport Utility. I never noticed this message, before on my Laptop with Ubuntu. 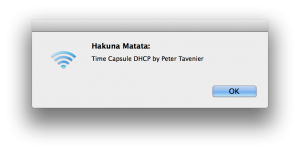 When I got a MacBook every time I connected via the wireless I got this annoying “DHCP Message” message in a pop-up. It was time to remove this message, since it has no use else than annoy people. 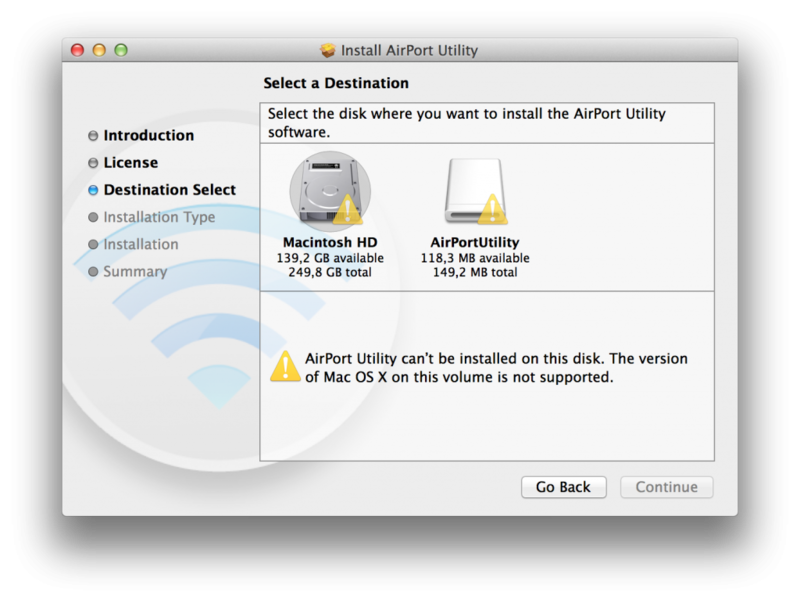 The current version of AirPort Utility for Mac is 6.3.1 and I noticed they stripped some features in this version; including the “DHCP Message”. Also the AirPort app on an iOS device was not able to change or delete this “DHCP Message”. So I was not able to remove the message with these apps. Another nice option in the older version of Airport Utility is that you can enable SNMP and change the SNMP community.